Focus Foodservice Aluminum Springform Pan, 12 inch -- 6 per case. 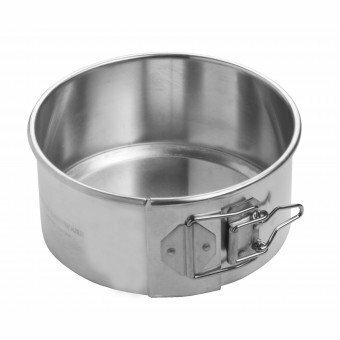 For use with cheesecakes or other batter cakes, Constructed from 3003 H14 aluminum for superior strength and even heat distribution. Strong latch mechanism to ensure a tight fit. Feathered inside rivets for smoother surface and easier clean up.